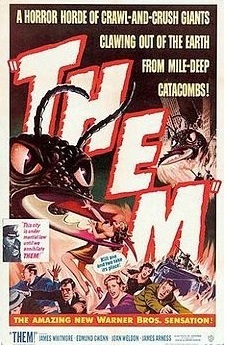 The 1954 movie Them! was one of the best science fiction movies from the 1950s. Filmed in black and white, it followed the discovery of giant mutated ants that were the unintended result of early nuclear weapons testing in New Mexico. The expanding colonies threatened to take over the world. It was one of the first giant insect sci fi movies that appeared in the middle of the 20th century. In the same vein, here are some giant ants to terrorize the denizens of your game world. First we have a group of worker ants. The one at the far right is emerging from the entrance to the underground colony. Then there is the larger Queen ant! Uh oh, our unlucky 25mm soldier has found himself confronted by several of the creatures! Here are photos of the ants with a 15 mm scale science fiction soldier miniature. These over sized monsters would be right at home in many science fiction, fantasy, pulp and post apocalyptic game worlds. In particular they would make for an exciting Halloween horror scenario!